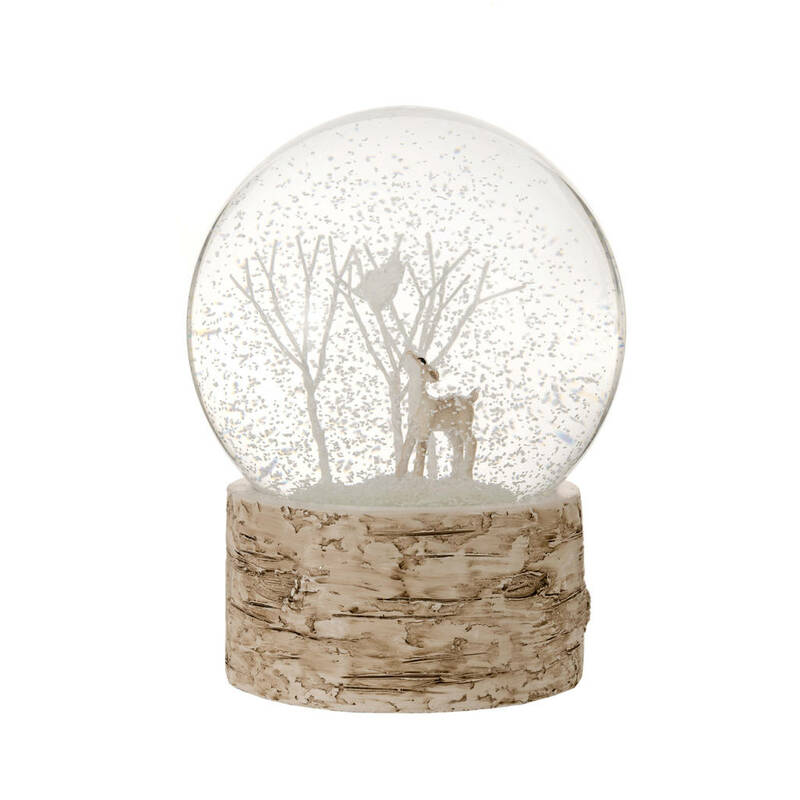 Nautural Woodland scene snow globe. 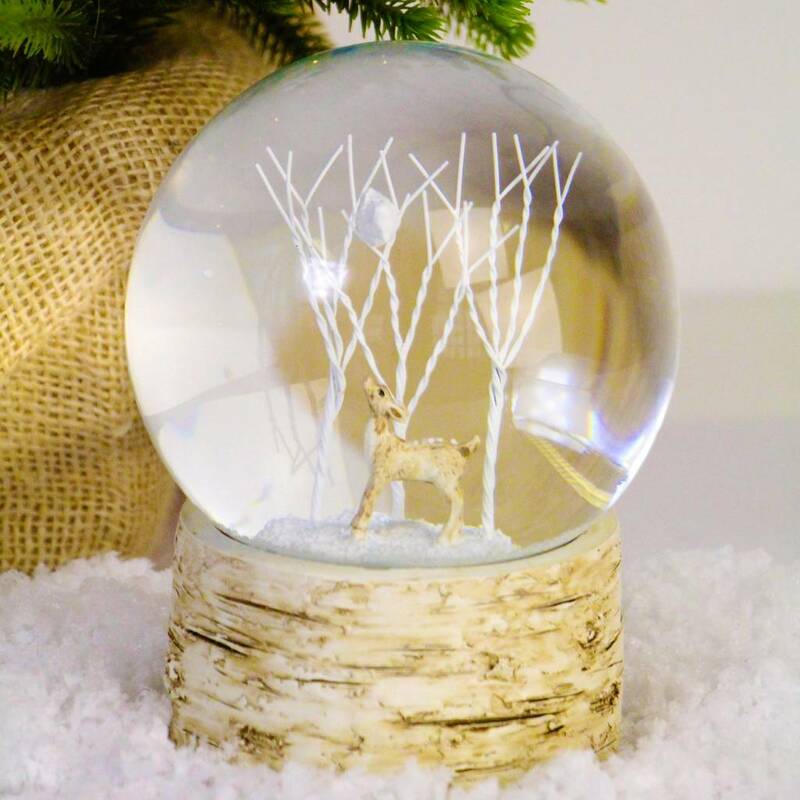 This fawn Christmas snow globe with woodland bark style base is a wonderful gift idea this Christmas that will be treasured for many years to come. 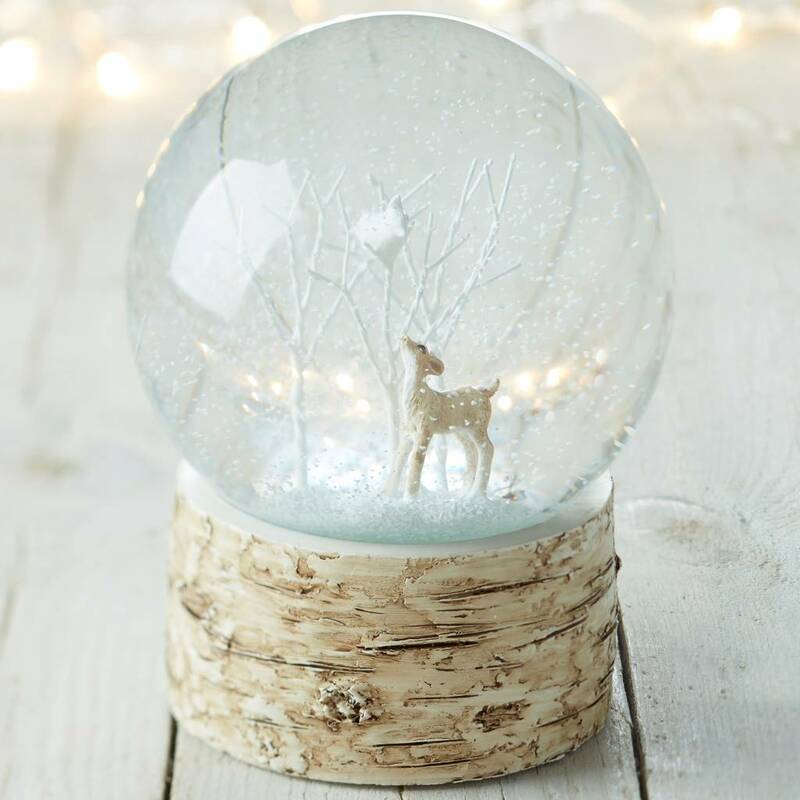 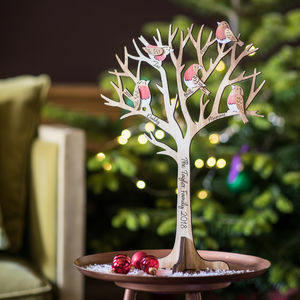 The snow globe features a baby deer looking skywards up to a single bird in a Winter woodland tree surrounded by fallen snow. 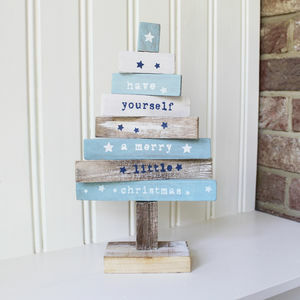 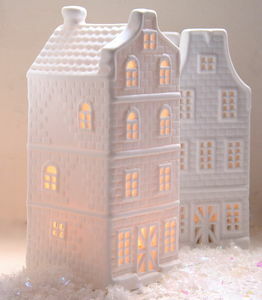 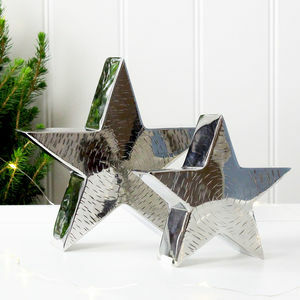 This product is dispatched to you by The Christmas Home.